sesame seeds, a photo by bour3 on Flickr. Growing up in my little organic village in Israel, my parents tried to grow almost anything imaginable until they nailed down what’s the ideal crop for their little piece of land (olives, lemons and pumpkins seem to be the winners in this particular micro-climate). One winter we unearthed peanuts from the soil; another year we had to sort through thousands of lentils that my stepfather beat up with a large wooden stick laid out on large sheets of canvas. And there was this one year, when he went all ambitious and planted an entire field of sesame plants. The harvesting was everything but easy, even if I think he hired a machine to cut down the plants – taking out the precious tiny seeds was a whole other story which I only remember very tiny parts of (the tasting of raw sesame seeds coming out of the partly green plant – which smelled terrible, by the way); and since it only happened this one time – it must have not been a success. In any case, all these failed crops and experiments definitely have given me a sense of what amount of effort it takes to grow food. Even with today’s machinery – food is a precious thing that we take for granted. And most of us don’t think twice when we see a handful of sesame seeds scattered on a loaf of bread, or filling a delicious deep-fried sesame ball, not to mention the thousands of seeds required for pressing a single jar of tahini or a little square of halva. And harvesting sesame is certainly not an easy feat – “The sesame seeds are protected by a capsule, which does not burst open until the seeds are completely ripe. The ripening time tends to vary. For this reason, the farmers cut plants by hand and place them together in upright position to carry on ripening for a few days. The seeds are only shaken out onto a cloth after all the capsules have opened” (you can read more on harvesting and processing sesame on Wikipedia). Sesame originates in Africa and India, and is one of the very few ingredients that are common to both Asian and Middle Eastern cuisine, where it is used in both savoury dishes (tahini dips or dressings, topping and seasoning breads and pretzels in the Middle East and sprinkled on rice and sautés as well as a salad dressing – i.e. gomae in Asia); and in desserts and sweets (Middle Easterners love their halva just as much as Asians enjoy sesame balls!). 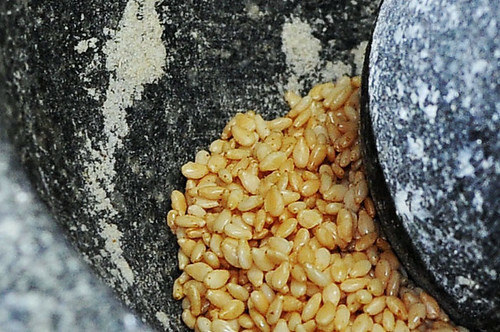 But sesame is not only delicious – it’s also very nutritious, and particularly high in calcium. There is as much calcium in unshelled or “white” sesame seeds as there is in milk (100mg calcium per 100gr of milk or sesame); unshelled or “brown” sesame seed contain 10 times the amount of calcium – 1000mg calcium per 100gr seeds!). But I can go on forever talking about sesame' – and I’ll have hard time getting to the point of the oil. It is not so easy to find sesame oil that is not from the roasted sesame seeds. And even then, it won’t exactly be “cold pressed”. Because at least a small amount of heat is required for producing sesame oil (as well as tahini). The oil always floats on the top of tahini jars, and it has a very thick consistency, which is not unlike lecithin (which it is abundant with, actually!). That is what makes sesame oil such an excellent emollient, and also why it’s so easy to incorporate water into tahini to make a dressing (lecithin is a natural emulsifier). So, unfortunately, my description of un-roasted sesame oil (meaning: not the “dark” kind) will be more based on literature more than on my own recent experience with the so-called cold-pressed sesame oil, which is clear and pale yellow. It has a very high vitamin E content, which gives it a very long shelf life as well as antioxidant properties. It’s a healing oil that heps skin conditions such as psoriasis and eczema and is used traditionally in Ayurveda for thousands of years. Sesame oil is used in the preparation of many Ayurvedic medicines, and is used for Ayurvedic massages, and for the Shirodhara treatment when warm sesame oil is poured on one’s forehead, as well as for oil baths and full-body massages. It is also used for foot massage and is very beneficial for the scalp and hair. From a nutritional and healing point of view – sesame oil also contains important trace minerals such as iron, magnesium and copper, and vitamin B6. It’s also high in omega-6 fatty acids, which are known to lower blood pressure; yet it does not require refrigeration as it’s also has naturally occurring preservatives in it – sesamol and sesamin, which prevent the omega-6 fatty acids from spoiling. Interesting to note, that sesame seeds were used to extract the essence of jasmine flowers in India well before the invention of enfleurage. Sesame seeds were layered with jasmine flowers untiel they absorbed the scent, and after repeating this process several times, the sesame seeds would be pressed into an oil that is fragrant with jasmine, to be used as a personal perfume on the hair and the body. Now that Chanukah has come to an end, and I’ve finally came to cover at least 8 beneficial oils for health and beauty – I feel inspired to continue exploring precious fatty oils of botanical origins. We tend to associate “oily” with “dirty”, where in fact, many of the lotions and detergents that make us feel “clean” are in fact polluting the environment and taking away from the natural healthy glow of our skin. I’m really looking forward to learning more about beneficial oils and how to use these elegant, simple and rich treatments, luxuries and remedies in every day life. Wonderful Cafe in 下北沢, a photo by kurisurokku on Flickr. Burning Cream & Sugar brought me fond memories of late night stops at Blenz after a night out, and enjoying a cup of vanilla steamed milk - just to wind down before heading back home. I'd also take this warm comfort libation for walks by the seawall after work, to hold me over till dinner time while watching the little bit of sun just before it goes down for a lengthening night. More often then never, I'd also top it off with a sprinkle of cinnamon. 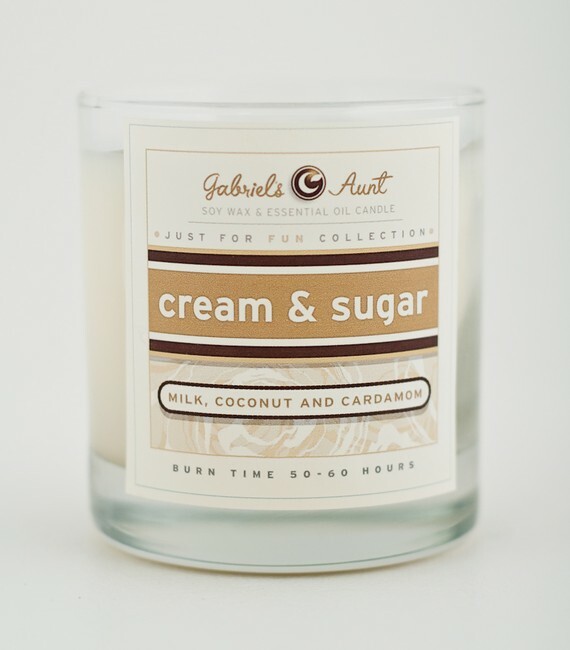 And that's exactly how Cream & Sugar candle smells like! I received a mini travel size (a mere 3oz will burn for 12-15 hours) as a holiday gift from Nikki and I'm again amazed by it's tenacity - filling the entire room with the comforting aroma of steamed milk. It's a small wonder! 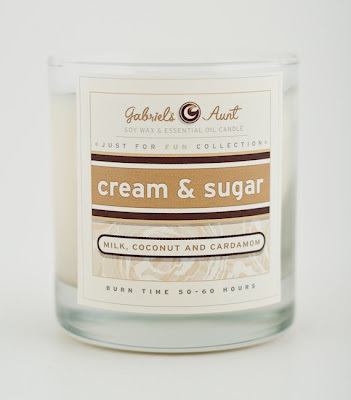 Gabriel's Aunt beautiful, all-natural soywax candles are available from her online boutique and Etsy shop. 365 141 Happiness is a Ripe Avocado, a photo by Miss Minie ♥ :Process Of Illumination: on Flickr. Persea americana, native to central Mexico (the state of Puebla), and is related to cinnamon, camphor and bay laurel. It is a very ancient tree that was used by humans for at least 12,000 years. It’s fruit was designed to attract very large mammals which are now extinct (i.e. : ground sloths or gomphotheres). The seed itself is inedible and rather toxic to many animals, and would be spread in the excretions of such large mammals, sprouting easily as it would remain undigested. 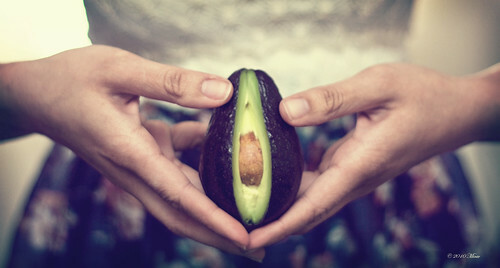 Avocado, like olive oil, is a rare case when a vegetable oil is derived from the fruit rather than the seed of a plant. It is cold-pressed from the pulp of the fruit, which may contain between 18-24% oil, most of which is monosaturated fat. 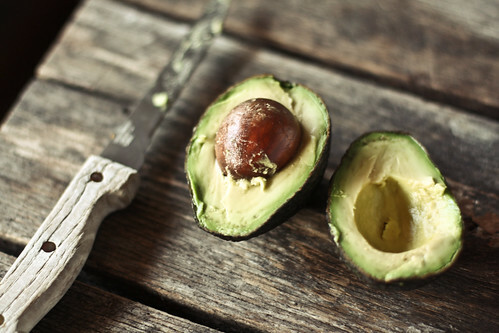 Avocados are extremely high in potassium, vitamin E, vitamin K, B vitamins, as well as a high fiber content. It was shown to lower harmful cholesterol level in the blood, and is also studied for its potential anti-cancer properties. The fruit’s culinary uses are wide and versatile. Because it is easily grown in sub-tropical and Mediterranean climates, and can tolerate cold weather (as low as -5C in some cultivars), it is grown in many parts of the world – Mexico, Chile, in the US (states of California and Florida), Indonesia, Brasil, Israel, Lebanon, South Africa, Australia and New Zealand. And the cuisines that utilized it are versatile and innovative. 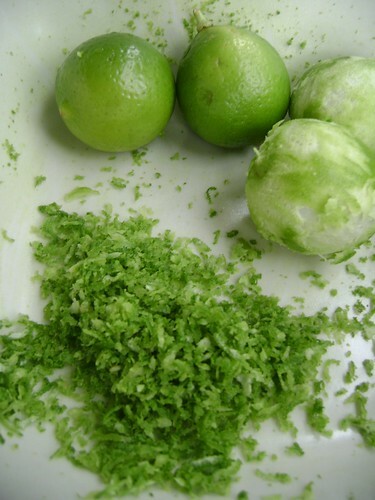 It is mostly used raw, because cooking making it extremely bitter and inedible (the Haas cultivar can tolerate a small amount of heat and may be used in preparation of “avocado soup”). Avocado’s high oil content makes it ideal for condiments and in savoury dishes such as sandwiches, condiments and sauces – the most famous of them being, of course, Guacamole (“avocado sauce” - a condiment, dip or sauce made with lime juice or vinegar, herbs, spices and hot peppers). Avocado slices are used in Maki (rolled sushi) – as in California roll or avocado roll, where its fatty contents pair nicely with the fish or substitute it for vegetarian rolls, and it works beautifully in vegetable salads – either sliced or in the dressing. Avocado’s creamy texture and naturally mildly-sweet flavour make it a perfect component in raw, vegan and vegetarian desserts. Try mashing it with bananas for a custard-like breakfast raw “pudding”, garnished with fresh dates; or add it to milkshakes, smoothing or sliced in fruit salad (be sure not to use overripe avocados - or they will be too mushy and “oily” and not as sweet). You can even make your own vegan “eggnog” using avocados (I made one today with avocado, coconut milk, rum and nutmeg and it was very good and brightly green!). As for avocado oil itself, which is the real topic of this article, it is particularly fabulous because of its antioxidant nutritional value. High smoking point (the refined avocado oil goes as high as 520°F = 271°C) makes it suitable for cooking, sauteeing, frying and deep-frying. It has a very mild, slightly nutty flavour that is quite easily adaptable. In cosmetics and body care, avocado oil is prized for its regenerative and moisturizing qualities. It is full of nutrients such as vitamins A, D and E, as well as lecithin, proteins, chlorophyll, glycerides and omega-3 fatty acids. It is a very thick oil, and it’s best not to use more than 25% in a base-oil blend (meaning: you should blend it with other oils if you were to apply it to the skin in a massage oil or a body oil). Avocado oil is also used in soaps to add moisturizing qualities to a soap bar, because some of its contents do not get saponified and preserve their softening qualities. Its thickness also makes it a good addition for body butters and making rich body lotions. It's restorative and helpful especially for dry, scaly skin. Similarly, use it for hair masks or hair treatment for curly or dry hair and itchy, flaky, scaly scalp. The lecithin is a natural sunscreen, so it’s a good natural protection for both skin and hair from UV rays. You will also find avocado oil in some high-end haircare products such as shampoo, conditioner and masks – but you can also create your own! avocado, a photo by hannah * honey & jam on Flickr. 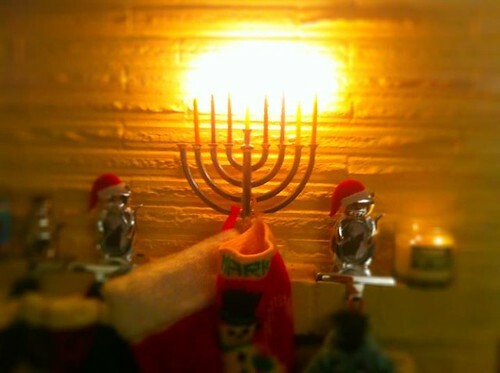 Merry Hannukah the Seventh: Boxing Day Rebellion, a photo by MSPT on Flickr. Boxing Week gifts with purchase at AyalaMoriel.com! * We will pick the flavour/scent of the goodies for you, as quantities are very limited! Zangvil was featured in Plaid Magazine's holiday fragrances - last minute gift ideas for her. blessed is the season..., a photo by janoid on Flickr. Merry Christmas for everyone celebrating today! 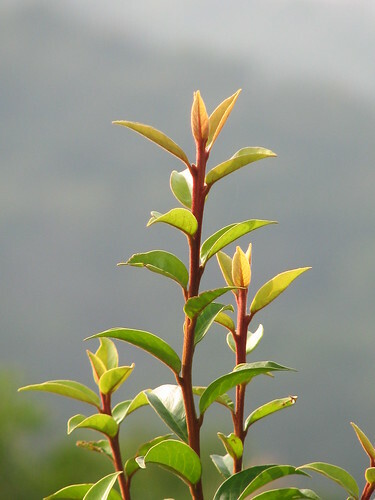 Tea oil is cold-pressed from the seeds of the tea plants - the species Camelia sinensis, Camelia japonica, Camelia oleifera and others, which originated in China. It has a very high smoke point (252°C, 485°F), making it an excellent oil for deep-frying and is the main cooking oil in Yunnan province in China, and very popular in Japan as well (for deep frying tempura, for example). It has excellent shelf life, similar to that of both olive oil and grapeseed oil, and also has excellent nutritional value – being rich in antioxidants, and has no trans fats, and is very low in saturated fat. 88% of its fatty acids are monosaturated oleic acids (the same that are found in abundance in olive oil). Like grapeseed oil, it has a very pleasant yet neutral flavour, making it an excellent base for salad dressings, and also a perfect substitute to whatever other vegetable oil you ever used before in pancakes, waffle and cake batters. The downside is its high price (even higher than grapeseed oil). But it’s certainly better to pay that price than get a cheap vegetable oil from genetically modified source. Tea seed oil is used in soap to produce high lather, and was also traditionally used in Japan to groom and set the elaborate hairdos of Geishas and Sumo wrestlers. Also, it was used to prevent rust in swords (a use that is hardly necessary now that the samurai days are over; and also the price of tea seed oil makes it rather unrealistic). It promotes hair growth and a healthy scalp, and was used for centuries as a hair conditioner in Japan. Because tea seed oil has very little aroma or strong taste of its own, it is a very versatile oil for use in cosmetics and body care preparations. And to top it all - it also has the most light weight, fast absorbing texture next to fractionated coconut oil, while having much more beneficial for the skin as it’s packed with vitamin E and other antioxidants, preventing damage from free radicals and protecting the skin from toxins. I’ve used it in both my facial serum Elixir, and in all of my anointing body oils, producing a very nourishing, yet non-greasy body oil that is a delight to use and indulge one’s skin in, as well as use in massage. Because it's very light-weight, you may want to add an oil such as almond or grapeseed oil for more lubrication when using for a massage. 8hrs 6min 59sec of daylight in Vancouver today. And after that, the days will gradually increase - a few seconds at a time at first, gradually improving. I'm celebrating with candles, eggnog and a winter solstice bath scented with refreshing yuzu to welcome the return of the sun after the longest night of the year (the eggnog knocked me down early so I didn't get around to it till the morning hehe). 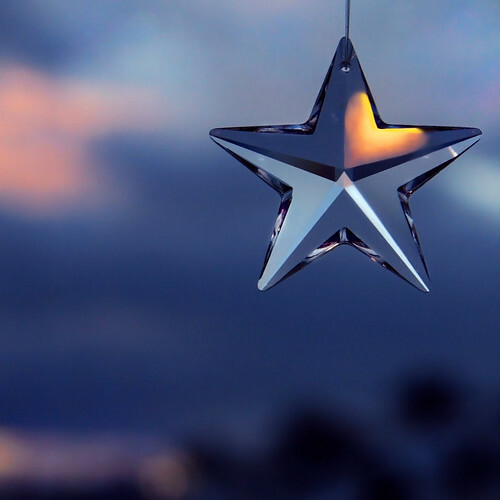 May your 8 days be filled with light, warmth and happiness. 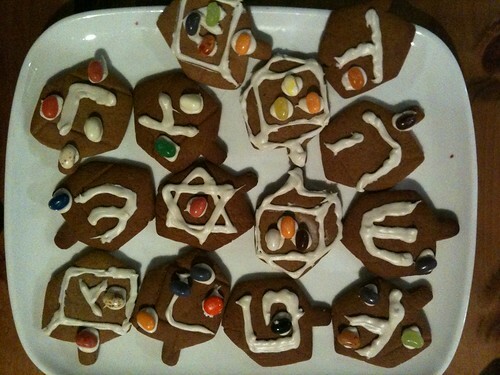 We baked and decorated gingerbread cookies for the first time ever today, and this is the result - dreidel gingerbreads! This year we will continue with more oils to complete the series we began a couple of years back - 8 Exquisite Oils for Health & Beauty. Although, in all honesty, there are probably going to be more oils than just 8 to explore and discover uses for both nutrition and cosmetics/body care. This year we'll discuss sesame oil, argan oil and avocado oil. 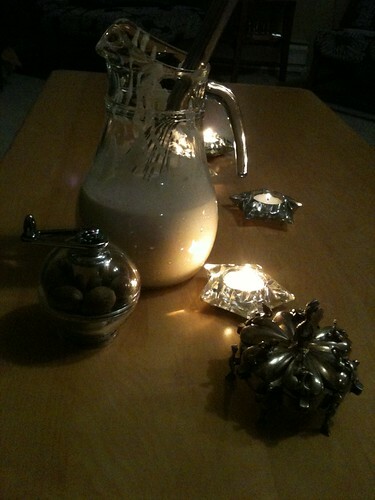 We'll also feature a few favourite candles we're burning this season. The Fragrance Foundation announced the 30 Indie brands that entered 2012 “Indie” FiFi® Award. "Independent brands and the people behind them are driving innovation. Surely all the nominees are deserving of accolades," said Frederick Bouchardy, co-founder of Elements Showcase. "We are proud and thrilled to shine the spotlight on them next month." “Indie” Committee Mission Statement: To support the excellence, talent and artistry of ‘indie’ perfumes, celebrate their individuality and craftsmanship, give a voice to the “indie” brands, address any issues and concerns that are important to the group as a whole. 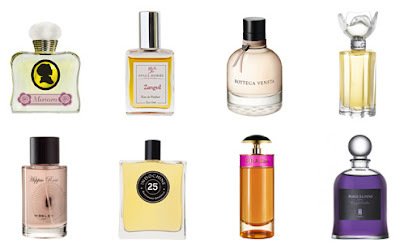 Read more about the scents and Indie perfume houses entering the “Indie” FiFi® Award 2012. 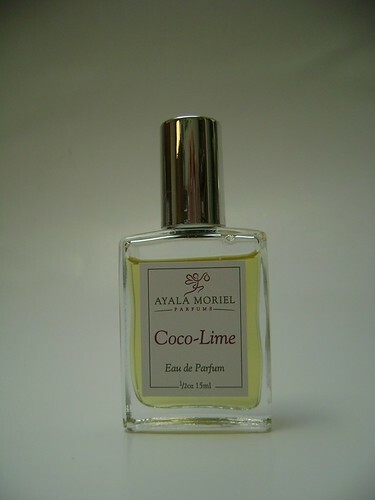 The flavour is inspired by my tropical fantasy, aka Coco-Lime limited edition perfume (it came out in the summer and was snatched away before I was even able to post it on my website)! Snowballs are my favourite holiday cookie, not only because they are melt-in-your-mouth delicious and look pretty and dainty - but also because they require very little equipment! This recipe is a spin-off on our favourite home recipe. It's also a great winter past-time activity, as even little kids can easily form them into neat little balls. In fact, aside from making the dough and handling the hot cookie sheets - I let my daughter take charge of the whole process from start to finish! - Add the vanilla and continue to knead dough just until it can be formed into a big ball, and wrap in a plastic wrap. - Refrigerate dough until firm - for about 1-3 hours. - Form the cookies using a melon scooper for even shapes and identical dainty sized snowballs! - Cool for 3-4 minutes, just until they can be handled without hurting your fingers! - Roll in additional icing sugar. - Transfer into an airtight container. They will keep for 2 weeks and make a perfect gift, packaged in reusable cookie tins or jars. Tropical cocktail of squeezed lime and coconut milk, and everything else that goes with. Coco-Lime is a mouthwatering beach fantasy in a bottle. Fun and invigorating! 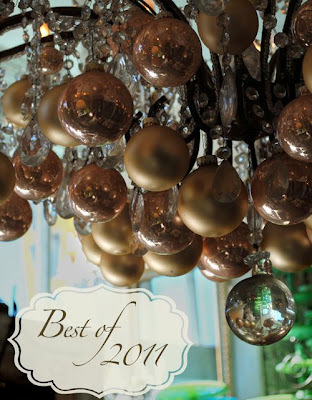 We want to thank you for your business this past year so we're throwing a party! Dreidel Draws for scoring cool gifts from our treasure chest! Noriko of Dancing Leaf Design has created 3 magical snowflake-inspired bouquet rings (see picture above) to go with my last 3 flacons of my favourite winter parfums: Fête d'Hiver, Hinoki and Sandal Tree. These are scentable rings - you can apply scent to the scent-absorbent beads within them, and enjoy your bouquet ring with more than one sense! These rings + perfumes gift sets will be available exclusively at our holiday soiree December 15th. We are also hoping to have more beautiful vintage Mexican poison rings from Taxco, including some very rare and stunning designs. They're still enroute but should be here any day now. I promise to let you know (and take photos!) as soon as they arrive. If you think that giving perfume is too tricky - think twice: With our custom perfume service, you can treat someone you love to the perfume of their dreams! Pamper someone you love with our custom perfume services, which were picked for Best of 2011 by LA Magazine! This is a unique experience, that can be done both in-person at the studio, or via correspondence (in fact, most of our custom-perfume clients are from overseas!). In the process you will explore your favourite notes and your relationship with your olfactory heritage; and will enjoy a pure natural perfume, carefully composed by world-renown natural perfumer Ayala Moriel. To top it all off - through Groupon you can now save 50% off (!!!) the original price and give it as a gift to someone really special in your life. The Groupon offer expires December 15th, 2011. Take advantage of it while it's still on. Please note, the number of vouchers we set aside for this offer is extremely limited! 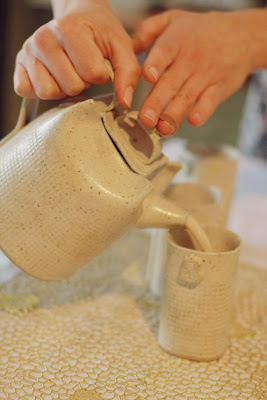 Green Wedding Fair blog has featured our Zangvil tea party! They also took amazingly beautiful photographs that commemorate this very special tea party, in which we served the dainty treats in eikcam's beautiful handmade earthenware. Thess photographs were taken by Shona Dion. Your dream of studying perfumery can come true with much less effort now with this very unusual offer on Groupon: my natural perfumery course week-long intensive at the studio in Vancouver for only $900 (instead of the original price = $1800). The course includes the course handbook and all equipment and materials used throughout the week. Please note that although this offer is in Groupon Vancouver - even if you don't live in Vancouver, you can still enjoy this unusual promotion! I've decided to do this offer because I know most of my students come from out of town (and even more of them are from out of the country!) and traveling is not cheap. I hope this offer will open the door to new students and that they will have a fantastic time in the course and will come back to complete their studies in the consecutive courses I offer throughout the year. 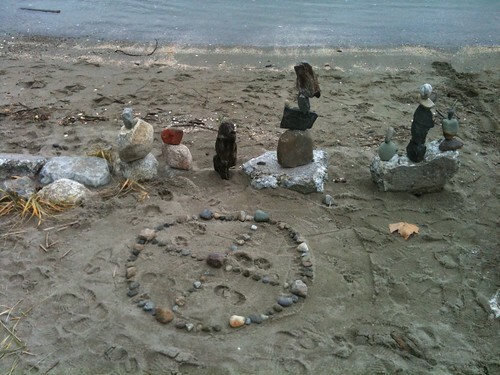 In 2012 there are sessions in January, May and September. The voucher is valid for one year, so you can redeem it for any of the intensive weeks offered in 2012. Last Day of Portobello West! Today is the last day of Portobello West Fashion + Art Market for 2012. This is also the very last time EVER that the entire line of Ayala Moriel Parfums will be offered anywhere outside of our studio on Haro street. 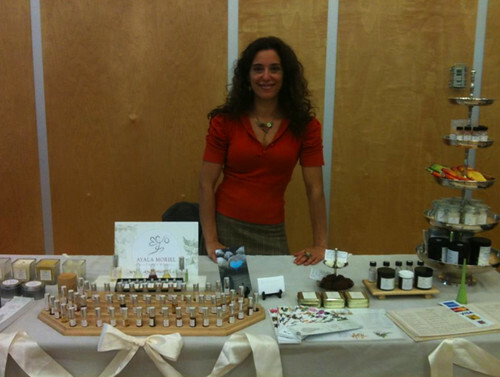 Take advantage of this rare opportunity to experience all 50 original natural perfume creations by Ayala Moriel as well as shop with over 60 talented local artists and designers! 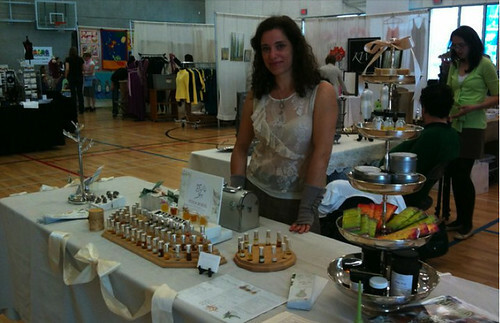 In 2012, I will be selling my entire line ONLY at the studio (which is open by appointment and for tea parties only). 2) After doing markets and trunk shows in various locations for nearly 5 years, I realized that the only place where people truly have the right atmosphere to experience my line is in a relaxed environment and with the full attention of a fragrance consultant. 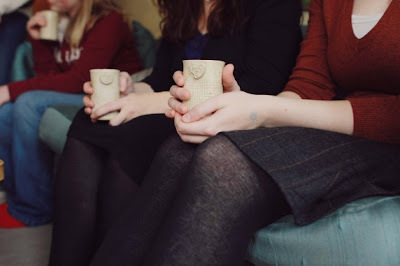 It's much more fun to meet people one-on-one at my studio over a cup of fragrant tea and share my stories unhurried, while seated down on my comfy chairs. Treat yourself to a visit at my studio, and you'll understand just exactly what I mean! The fragrant chocolate bars we created with CocoaNymph were featured in the food section of The Vancouver Sun this Wednesday! Song of Songs Anointing Body Oil reviewed by Beauty Huile: "Ayala has a true, talented eye for essential oils, one who is unafraid to mix the practical and exquisite. You’re going to love it". "Ankle deep, he waded through the bluebells. His spirit rose and exalted... as he breathed in the sun-drenched air. The glorious day was in its last decline. Long shadows lay on the sward... and from above the leaves dripped their shimmering drops of gold-green light. Moths and butterflies swarmed in merry hosts... flittering here, glimmering there. But, hush. Could that be a deer?" She's on a quest. But aren't we all? Traveling as far away from her heart as possible. Seeing it or hearing its soft murmur of desperate longing only hurts more. Avoidance of dwelling taken literally. There is no room to dwell. There is no dwelling. There is no home or a permanent residence for those torn between love and forgetfulness. 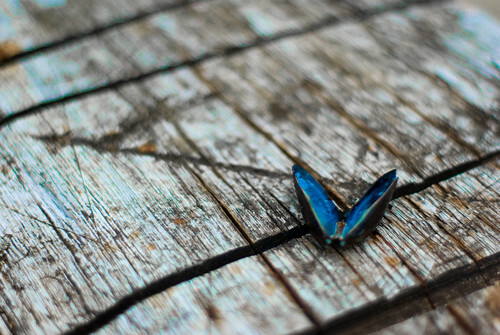 Far away as metal wings could take her, she will continue to walk through the less traveled paths. Only occasional butterflly will stir the air she breathes in the cold peaks of lonely serenity. Only wandering, moving on can soothe this blue heart of a butterfly. Zangvil is in LA Times' Best of 2011 List!!! "Ayala Moriel Parfums Zangvil: As a fan of Moriel naturals, I can’t get enough of this subtle holiday skinscent that blends ginger-spiked amber and candied orange." Picked by LA Time's Fragrance Columnist, renown author and perfumista Denise Hamilton (did you know that the heroine of her new book, Damage Control, is a perfumista as well? How cool is that!). And - the article also recommends our custom perfume services - definitely the ultimate luxury!